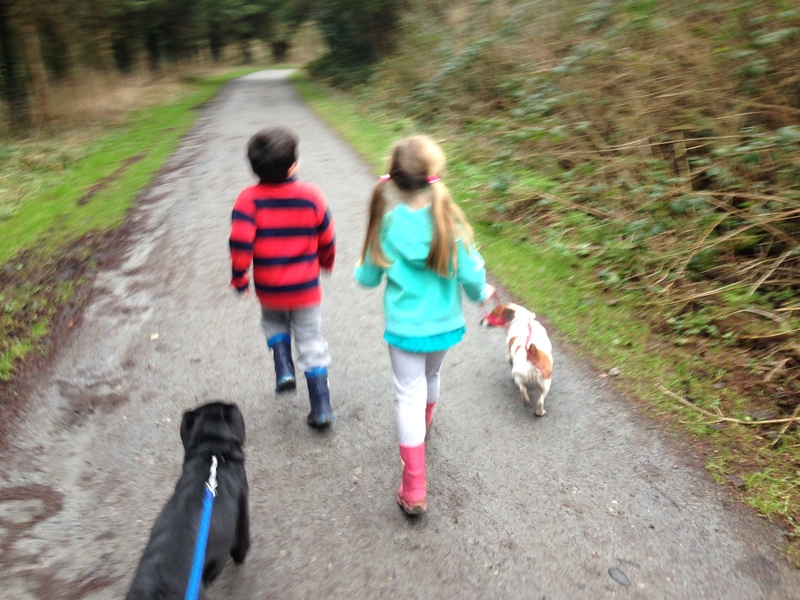 This is a fun, random little post which lots of the Irish Parenting Bloggers are doing at the moment. I was tagged by Glitter Mama Wishes. A for Art College. I attended art college many years ago and unfortunately I let my skills go rusty. I haven’t the patience to sit down and draw these days, but I know I’ll come back to it again. B is for Belfast where I’m from. I left 14 years ago to move to Galway with my boyfriend (now husband) before moving to England for 4 years and finally settling in Tipperary 9 years ago. C is for Camping. This summer we’re going camping again. The kids love sleeping in a tent, going to the beach and playground as often as they please, and having a constant supply of new friends. I find it physically tiring but do come away completely relaxed. D is for Dire Straits. Theirs was the very first album I recorded onto a cassette tape from my brother’s original album. I was just a kid but I thought I was so cool. E is for evening primrose oil. Every day I take a dose. F is for Frascati in Italy where my husband and I were married nearly 10 years ago. The priest said we should return for our 10 year anniversary and bring ‘all’ our children. I thought we would be able to but this is looking less likely. G is for garden. 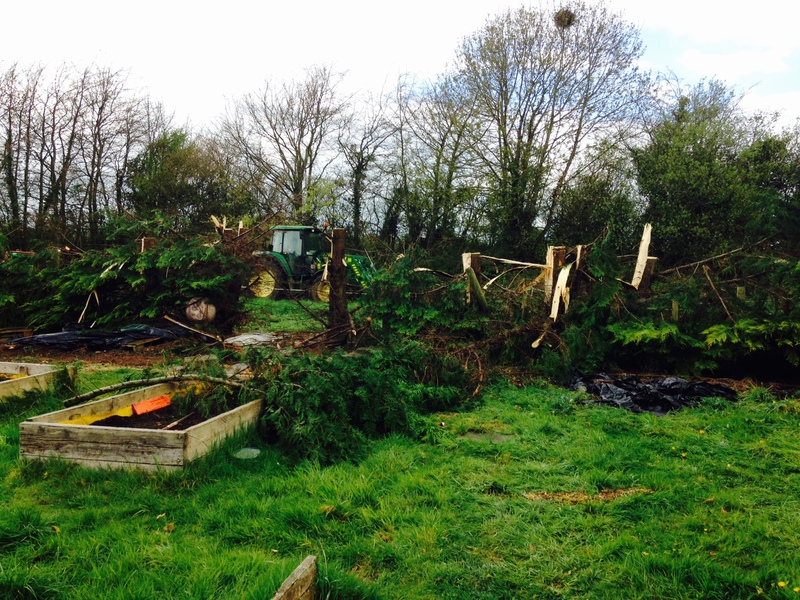 My garden is an embarrassing mess right now as we had a row of 30 fir trees chopped down. The grass had turned to mud but at least the sunlight is getting in and the views are lovely. H for Home. We travel quite a bit to visit family and it frustrates me. I wish I could push all our homes closer together so we could visit more casually and I could spend more time at home. I is for Italy, where we married, spent our honeymoon and my all-time favourite holiday destination. I love the gelato, wine, weather and most of all – watching some crazy Italians fighting and gesticulating in the street, not giving a damn who can see or hear them. K is for Knee surgery. My husband had knee surgery a few days ago and is doing remarkably well. L for Lawn mover. This week I used the lawn mower for the first time on account of my husband having knee surgery, also the grass was up to my knees and I worried our home was beginning to look like rented accommodation. 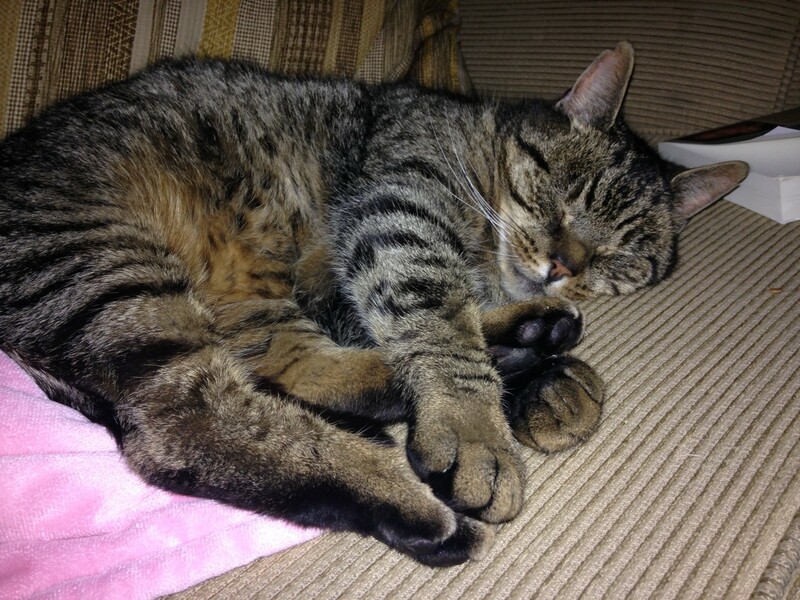 Magnum, my lovely 12 year old cat. He comes when you whistle and can hold his own with the dogs. Nestle. I’m still trying to avoid their products. Very difficult when they own nearly everything. O is for the Open University where I studied for my degree. I had an amazing experience at the OU. I loved the courses, the tutors and the learning materials were incredible. Sometimes I get my old textbooks out for a peek. P is for Pork belly, which we bought yesterday at the English market in Cork. Looking forward to it tomorrow for dinner. Q for Quiet time. Since the kids started school I relish the quiet time. I’m easily distracted so I need peace and quiet when I want to concentrate. 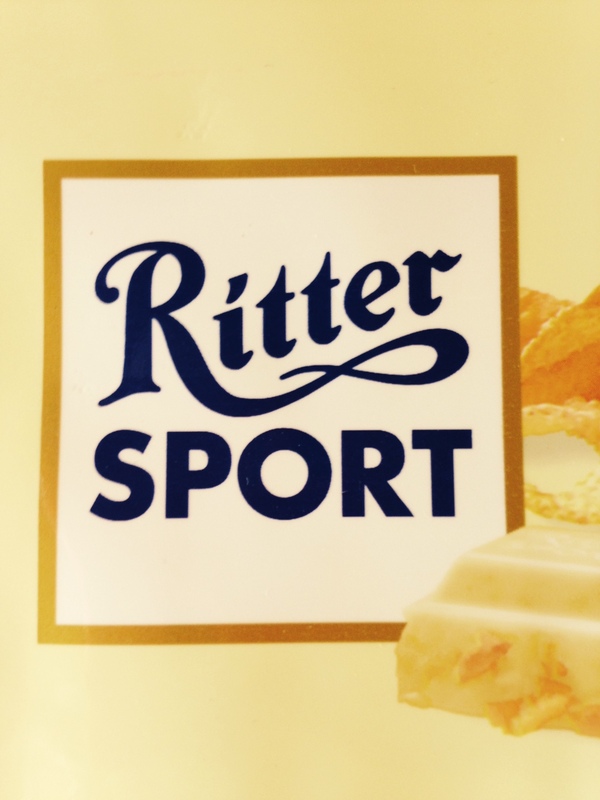 R is for Ritter Sport. The bar of chocolate which my husband bought for me because I’m not well today. I hope Nestle don’t own them too. 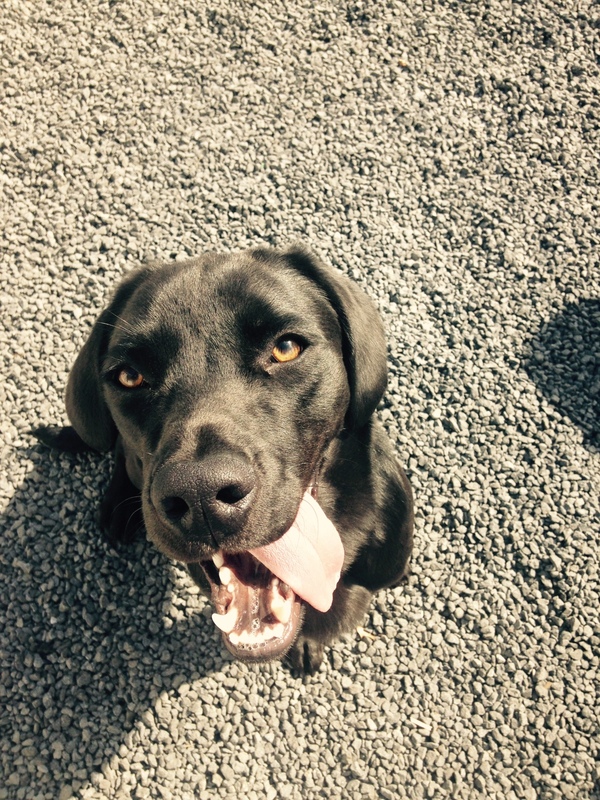 S is for Sasha, our gorgeous black Labrador who has destroyed more of my belongings than I care to remember. It’s hard to stay mad at that cute face. T is for Twins, the two little people who have dominated my life for the last 5 years and have given me a brighter, more fascinating view of the world. U for underworld. They created a dance anthem from my youth. V is for Vet. My lovely husband works as a vet (he’d prefer to bake bread and brew beer, but we have a mortgage). We have lots of pets – 2 cats. 2 dogs and a bunch of chickens. The kids want a horse and guinea pigs but we’ve had to draw the line. W is for walking. Most days I walk Sasha, except when it’s raining. I don’t like walking in the rain. I’d like to walk both dogs together but they wind each other up too much for that. X marks the spot. Now and again I come across an ‘x’ scrawled onto the wall or carpet. My kids are marking out where to find the treasure. Nice. Yellow. Probably my favourite colour. Z is for Zips! In the last few days I’ve discovered my dog has chewed lots of the zips on our coats. Gah! Now I’d like tag My Thoughts On A Page, Jackie Mallon, Life Confusions and Lady Nicci. Don’t worry if it’s not your style. It’s just for giggles! Pinch me, please! I’m a Finalist in the Irish Blog Awards! Fascinating! ! (Im so nosy) Art college, bread making, O.U and what are you making with pork belly?! Really Emily?! Lol! Haven’t cooked it before but I imagine it’ll be smothered in herbs and roasted. Mmm… Yummy. I also had a pulled pork sandwich yesterday in O’Flynn’s, not far from the market. And to think I used to be a vegetarian! Please do share the recipe once it’s done. I always stare longingly at Pork belly in the butchers and know nothing about it. Really impressed by Art and OU too. Thanks Muuka. I’ll send you the recipe – it’s so easy. I really love the OU, but unfortunately the prices have gone up for Irish students. Really enjoyed reading that Olivia! I will be down in Tipperary in July, I hope you are about for a wee visit! Hi Jackie! How long are you home for? Hope you’re having a lovely time . Bet your mum is delighted to have you home. Do you find any extra inspiration at home? Kraft seem to own everything too! Must be hard to find decent chocolate in America. You should bring a stash back with you!